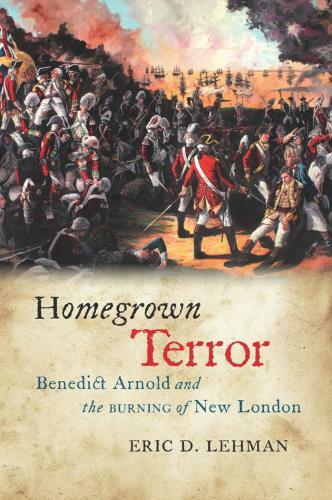 On September 6, 1781, Connecticut native Benedict Arnold and a force of 1,700 British soldiers and loyalists took Fort Griswold and burnt New London to the ground. The brutality of the invasion galvanized the new nation, and "Remember New London " would become a rallying cry for troops under General Lafayette. In Homegrown Terror, Eric D. Lehman chronicles the events leading up to the attack and highlights this key transformation in Arnold--the point where he went from betraying his comrades to massacring his neighbors and destroying their homes. This defining incident forever marked him as a symbol of evil, turning an antiheroic story about weakness of character and missed opportunity into one about the nature of treachery itself. Homegrown Terror draws upon a variety of perspectives, from the traitor himself to his former comrades like Jonathan Trumbull and Silas Deane, to the murdered Colonel Ledyard. Rethinking Benedict Arnold through the lens of this terrible episode, Lehman sheds light on the ethics of the dawning nation, and the way colonial America responded to betrayal and terror. ERIC D. LEHMAN is a professor of creative writing at the University of Bridgeport. His fiction, travel stories, essays, and nonfiction have appeared in dozens of online and print journals and magazines. He is the author of several books, including The Insider's Guide to Connecticut and Becoming Tom Thumb: Charles Stratton, P.T. Barnum, and the Dawn of American Celebrity.